Mura Masa releases his self-titled debut album today and, as the headline above suggests, it's got more smashes than a bottle bank. 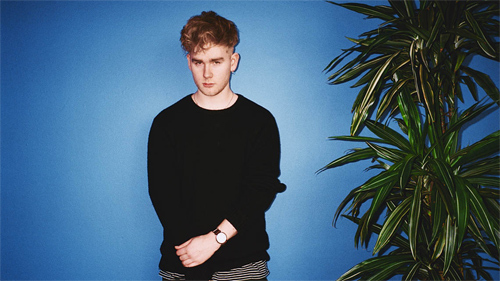 If you're not familiar with his ouevre, here's a potted biog: Mura Masa is 21-year-old Alex Crossan. He comes from Guernesy, and named himself after 16th-century Japanese swordsmith Muramasa Sengo. Being raised on a "small, isolated haven" halfway between Britain and France meant he wasn't swayed by prevailing music trends, and so he delved into the weird and wonderful delights of world music, which means his own productions are peppered with non-Western sounds like Trinidadian steel drums, African kalimbas and Indonesian gamelan gongs. It's trop-house with a genuine understanding of its roots. More importantly, he makes dance music that's infused with genuine emotion, via collaborations with fellow outsiders Damon Albarn and Charli XCX. Here's a sample of what you can expect.